Dr. Ruprai, internationally renowned, a medical graduate & postgraduate (OB-GYN) from Manipal University, is one of UAE’s leading cosmetic gynecologist. She is also a leading icon and a pioneer in Aesthetic and Functional Gynecology field in India. Trained from one of the most reputed university and teaching hospitals in India she has further received advanced training under pioneers in her field from reputed institutes in India, Germany, France, and Malaysia and USA. During her academic career at Manipal University, she was conferred with many research awards and fellowships. After her first work assignment at PGIMER (Post Graduate Institute of Medical Education & Research)-Chandigarh, India, she had served her parent institute, Manipal University, for over 8 years as Consultant and Associate Professor. During this course, she was also selected to serve internationally at Melaka Manipal Medical College, Malaysia on deputation as a part of Manipal International Teaching faculty. Over the years, she has strived hard to bring science to the world of beauty and has taken specialized training in Lasers and Advanced cosmetic procedures. Dr. Ruprai has ventured into cosmetic medicine in 2012 following her passion for Aesthetics. She has been trained and certified by the European and American Board with acclaimed pioneers in the field. She oversees the various facets of gynecological practice — a combination of medical and surgical gynecology, cosmetic gynecology, aesthetic services and research endeavors. Since her return from India for the last 9 years she has been pursuing and honing her skills further in cosmetic gynecology and anti-aging medicine to meet with the growing local needs, incorporating in her practice the very latest techniques imbibed from all around the globe. Dr. Ruprai travels extensively attending numerous international courses, workshops and conferences on aesthetic and reconstructive surgery. First Indian to be recognized internationally in the field of Aesthetic Gynecology and to lead and train doctors in the field in India. Best Thesis Research work for the year 2000 at KMC, Manipal, Manipal University. Invited as a contributing expert for matters pertaining to women’s health in popular magazines and for lectures at local universities. 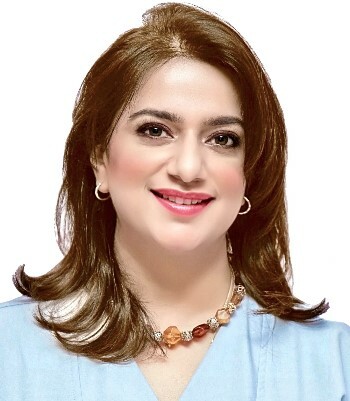 She has done extensive work in the field of aesthetic and functional gynecology adopting new techniques and procedures in daily practice is her special area of interest. She is working extensively on research and clinical studies on many aesthetic surgical & medical procedures in her field. Menopause problems and checkup, Bone densitometry, mammography and blood tests when indicated. Operative Gynecology including abdominal operations (such as hysterectomy, myomectomy, ovarian cysts, ectopic pregnancy) and vaginal operations (such as anterior & posterior repair, Bartholin’s cysts). Dr. Ruprai specializes in fillers treatments, neurotoxin treatments, and various lasers and light treatments using numerous devices such as Femilift, Smartxide, Fotona, ThermiVa, etc. She is well qualified and experienced in usage of latest laser techniques and non-invasive aesthetic treatments.